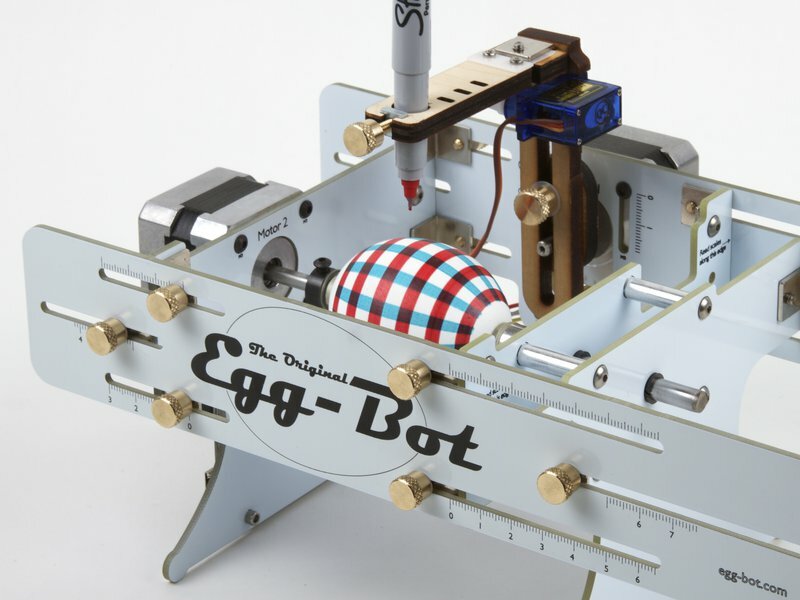 If you have The Original Egg-Bot Kit: Basic Edition yet yearn to be a little more couth, you may be interested in our Brass Hardware Upgrade Kit. 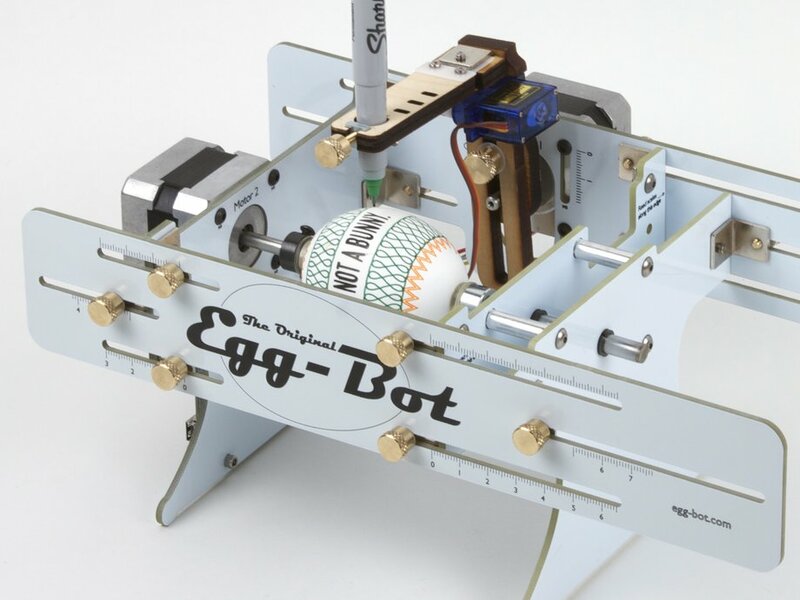 The Basic EggBot ships with sturdy nylon thumbscrews as the fasteners used for the most common adjustments. The Brass Hardware Upgrade Kit replaces all of those thumbscrews with solid brass versions, adding a considerable amount of heft and class. 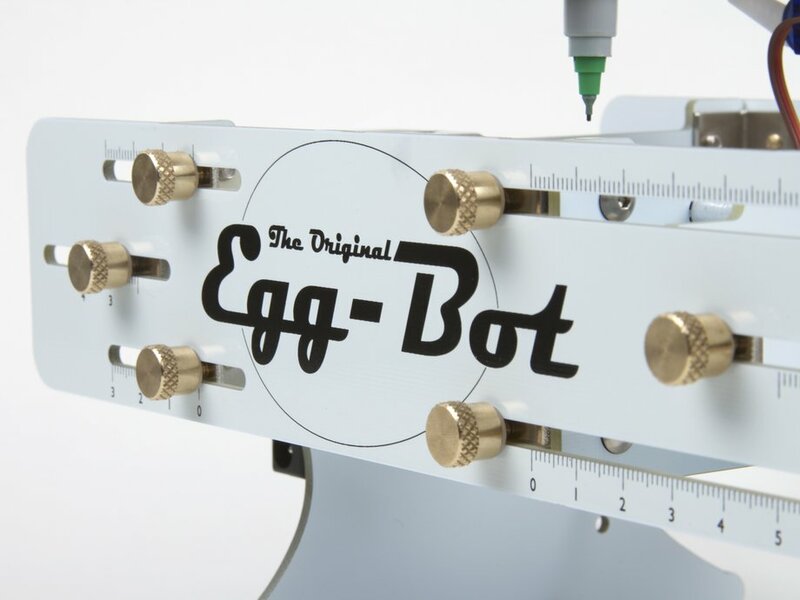 In detail, the kit contains twelve 6-32 x 1/4" brass thumbscrews for the sides, one 10-32 x 1/2" brass thumbscrew for the pen arm height adjustment, and one 6-32 x 1/2" brass thumbscrew to (optionally) replace the one in the pen holder. The kit also includes 13 nylon washers, to keep your thumbscrews from scraping up your chassis and pen arm.